New puppy? They’re so cute, so much fun, and … so frustrating sometimes! With house training, nipping, stealing, crate training, barking, and all the other things that come with puppyhood, it can feel like you’re in over your head. Puppies are like sponges for about a month or two after they come to live with you (8 – 16 weeks old). Your pup needs to learn good habits now or else he’ll learn bad ones. And believe me, it’s a lot easier for you (and the pup) if you teach him what he needs to know now rather than wait ’til you’re pulling your hair out due to his troublesome behaviors. Puppy training classes can go a long way to helping you survive puppyhood and to helping you have that well-behaved dog of your dreams. Find a training class that has a small class enrollment, that teaches with force-free, positive reinforcement (clicker) training, and taught by a qualified trainer. After your veterinarian has seen your pup, deemed him or her healthy, and started the initial series of vaccinations, you are ready to start puppy training! 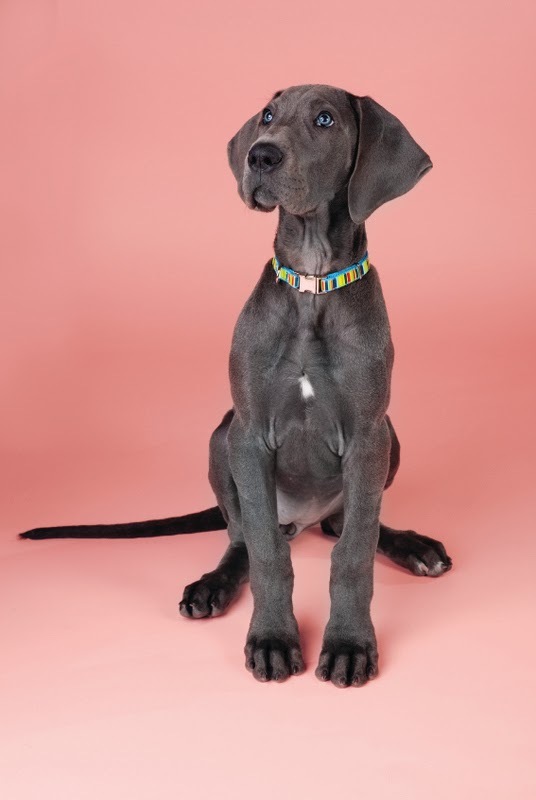 Ideally, bring your dog to puppy school as soon as possible, and get as many classes under his belt before he’s 16 weeks old. That’s when the socialization window closes. Imagine you’re working with clay and making a bowl. If you mold the clay when it’s pliable and elastic, creating the exact bowl you want is quite simple. But as the clay gets older and dries out, it’s impossible to form the clay into any shape other than the original. That’s what the socialization window is like — your pup needs to get out and experience puppy class each week until he’s 16 weeks old. 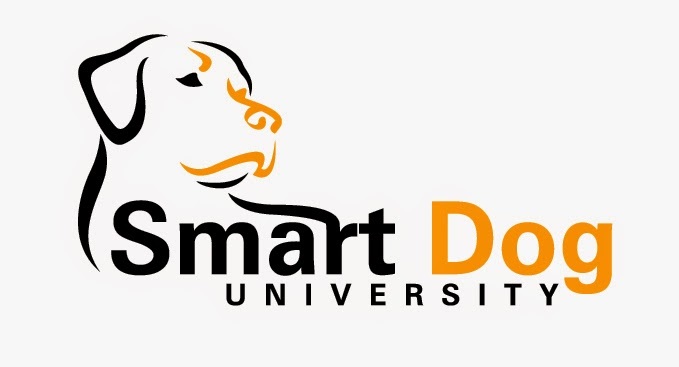 If you are interested in structured puppy classes check out Smart Dog University by clicking HERE. Laurie Luck is a certified pet dog trainer and uses positive reinforcement techniques to help you train your pup. She teaches classes at Kingsbrook Animal Hospital in the evenings. This entry was posted in Frederick MD, Kingsbrook Animal Hospital, veterinarian on September 30, 2014 by yourfriends. As a veterinarian, I have lots of experience with dogs! I love them. I live with them. I work with them. And I thought I understood a lot about their behavior until Basil became a member of my family. But all individuals are different and my beagle is no exception. I adopted Basil as a rescue at 8 weeks of age, and she immediately made it known that she was a special needs kind of puppy. I was unable to put her in a crate. And house training a puppy, as well as keeping it safe, without a crate is a 24 hour a day challenge. Not only did she hate it, but she had a complete panic attack. I, too, had a panic attack and placed an emergency call to Laurie Luck at Smart Dog University. With her help and encouragement I started training. Very, very slowly I was able to get Basil to walk into the crate for a special treat, and then to go in for her meals. I worked to close the door and have her sit quietly in the crate as long as I stayed in the room beside her. And finally I was able to move to the opposite side of the room and even out of sight. It was a long 6 weeks before Basil was able to be left home alone for even 1 hour. It’s been a year now. Basil runs to her crate as soon as I get out her special yummy kong. She is comfortable staying home alone for 6 hours or longer. And she will seek out her crate for a nap when she is really tired. I am still unable to crate her at anyone else’s house so vacation or travel is extremely difficult. Basil, her anxiety, and her comfort are a work in progress and hopefully her 2 year report will be even better. Anyone experiencing similar struggles can contact Kingsbrook Animal Hospital for sympathy and support! PS: Basil is super cuddly and we love her like crazy!! This entry was posted in Frederick MD, Kingsbrook Animal Hospital, veterinarian on September 23, 2014 by yourfriends. The most common behavior complaint of cat owners is house soiling, otherwise known as feline inappropriate elimination. The problem may be marking behaviors or urine/stool deposited outside of the litter box. Marking, or spraying, is when a cat urinates on vertical surface or leaves small amounts of urine, or occasionally stool, on horizontal surfaces. In most cases, the spraying cat will back up to a vertical surface, raise it’s tail, which may quiver, and with little or no crouching, will direct a stream of urine backwards. Cats will mark their territory (locations where they live or visit) to signal “ownership” or to advertise sexual receptivity and availability. Marking can occur when other cats are in the vicinity, either outdoors or in the same household, or when they feel stressed or threatened. Changes in household routine, living arrangements, and other environmental and social changes could also lead to marking behaviors. What are the diagnostic possibilities for elimination problems? The first step is to rule out a medical cause. Any disease of the urinary tract or intestinal tract that causes increased discomfort, volume, or frequency can cause house soiling. Medical problems such as incontinence, in which the pet cannot control its urine or stool, should also be ruled out. A complete physical examination and laboratory tests at wit your veterinarian are recommended. So, how do we determine if the problem is behavioral? As with all behavior problems, the history will help determine treatment options. The location of the urine marking, the frequency, duration, and number of locations are important. Information regarding the home environment, litter box type and litter used, litter box maintenance (cleaning) and placement are factors to note, as well as any additional pets in the household. The number and placement of litter boxes is extremely important in multi-cat households. If you have any questions, please contact Kingsbrook Animal Hospital at 301-631-6900. One of our veterinarians would be happy to examine your pet and help you to resolve these issues. This entry was posted in Frederick MD, Kingsbrook Animal Hospital, veterinarian on September 16, 2014 by yourfriends. 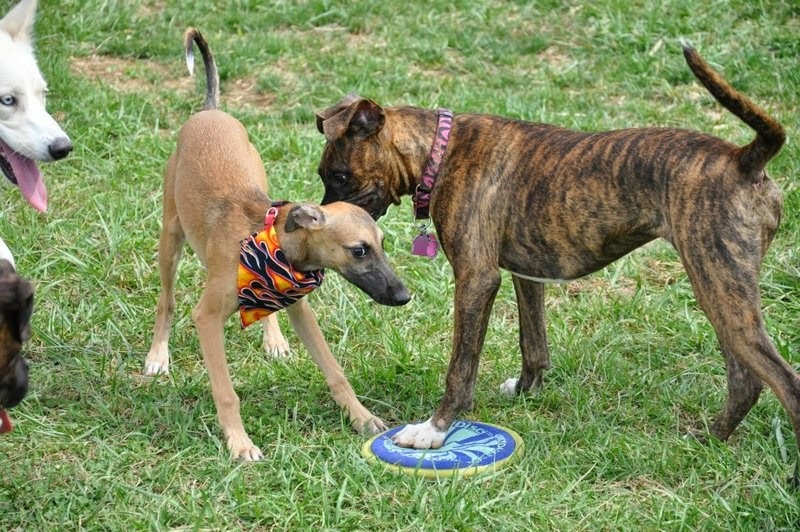 Ranee’s dog, Rocket, making a new friend at the dog park. 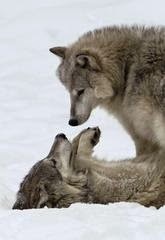 Just as people do, dogs convey a lot through their body language. Since they are unable to verbalize their feelings, they must use body language to convey if they are happy and want to play or if they are scared and want to be left alone. We can learn to read canine body language so we may have positive experiences with our doggie friends. 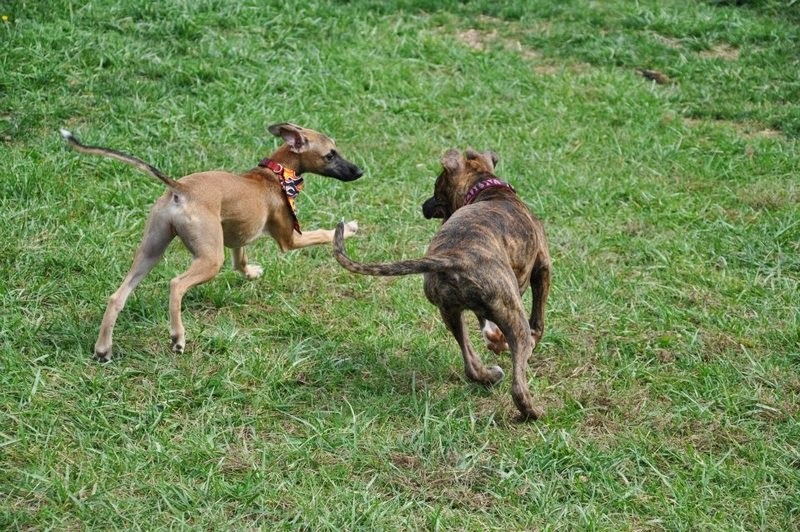 Ranee’s dog, Rocket, happily playing with a new friend. Happy When a dog is happy, his body language is relaxed. He holds his tail and ears in a natural position. He may wag his tail from side to side or in a circular motion. His muscles are relaxed and the corners of his mouth may be turned up as if he is smiling. Alert When a dog is on alert, he is intense and focused. He will stand upright with his weight centered on all four legs. 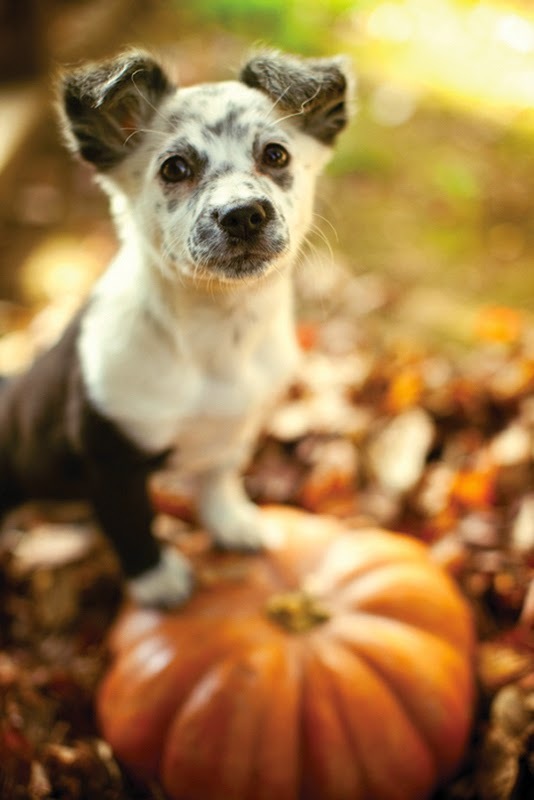 His ears will be held up and forward. His tail is rigid and held in the regular position or straight up. The hair on his back may be raised. Playful When a dog is playful, he will have jerky and bouncy movements. He may paw at you then take off running to ensue a chase. He may play bow by lowering his front legs and head and raising his rear end in the air. This position conveys that he wants to initiate play. A playful dog may also make high-pitched barks. This dog is displaying fearful behavior. Fearful A fearful dog tries to make himself look small. His back will be hunched and he will hold his tail low or tucked between his legs. His ears will be flattened against his head. He may lean to the side and back away. The muscles of his body and face will be tense and rigid. Dominant A dominant dog will stand tall. He will try to look large. His neck will be arched and he will appear tense. His tail will be held high and rigid. He will make direct eye contact. He may also growl, usually with a closed mouth. Submissive A submissive dog will try his best to look as small as possible. His back will be hunched and he will stay low to the ground. He will hold his tail low and may tuck it between his legs. He will flatten his ears to the side of his head. He will not make direct eye contact and may urinate. Fearfully Aggressive A fearfully aggressive dog displays the same body language as a fearful dog. He may show his teeth and growl. He may cower. He may snap or try to bite then retreat as far away as possible. Offensively Aggressive An offensively aggressive dog may be experiencing anger and confidence at the same time. He is on attack and may not stop if the offender retreats. He tries to look large and intimidating. He will hold his head high and his ears up and forward. His tail is held raised and rigid. He will growl, snarl and bark in a threatening tone. Defensively Aggressive A defensively aggressive dog would rather not get into an altercation. He would rather be left alone, but will stand up for himself. He may be experiencing fear and anger at the same time. He tries to look large and intimidating. He will hold her head high and his ears up and forward. His tail is held raised and rigid. He will show his teeth and may growl and snarl. His bark may be high pitched. If you have any concerns about your dog’s behavior, call for an appointment at Kingsbrook Animal Hospital at 301-631-6900. One of our veterinarians, Dr. Brent Cook has an interest in behavior and will consult with you and your pet to get to the root of the problem. This entry was posted in Frederick MD, Kingsbrook Animal Hospital, veterinarian on September 9, 2014 by yourfriends. 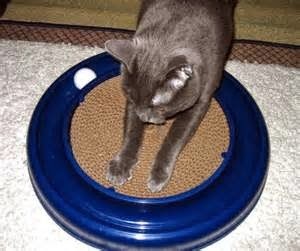 Scratching is a normal behavior that allows your cat to condition his claws, mark his territory and have a nice stretch. Cats are naturally drawn to the biggest, most stable thing in the room and unfortunately your couch, among other furniture, meets those requirements. The veterinarians at Kingsbrook Animal Hospital have some suggestions to prevent destructive scratching. Provide alternative, appealing things for your cat to scratch on like scratching posts or corrugated cardboard. Encourage your cat to use the posts by placing one near her favorite sleeping area and a second post in a prominent area. 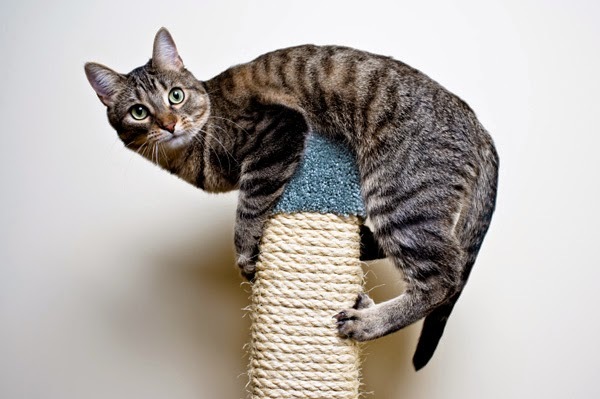 Remember a scratching post must be tall enough for your cat to stretch with his legs fully extended and sturdy enough to support his weight without toppling. You can make the post more attractive by rubbing catnip into it, attaching toys, or providing a more elaborate structure with climbing and perching areas. 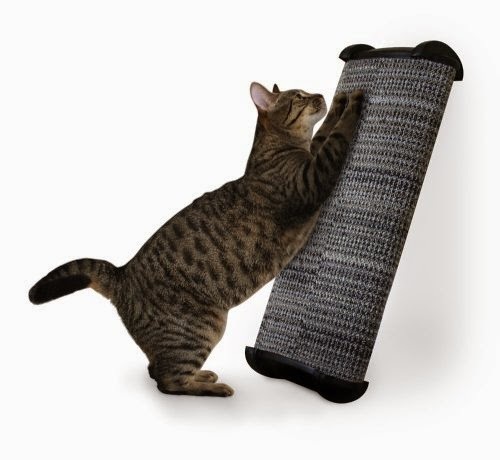 Use positive reinforcement when your cat uses the scratching post by offering your cat a food reward each time she approaches the post and multiple rewards whenever she actually scratches the post. Remember our registered veterinary technicians are always here to answer questions. If problems persist despite your best efforts, there are other options (like placing plastic coverings over your cat’s nails) that we can discuss with you. This entry was posted in Frederick MD, Kingsbrook Animal Hospital, veterinarian on September 2, 2014 by yourfriends.